One of the things I love best about being an author is receiving an invitation to attend a book club discussion. As a “people person” in every sense of the word, I enjoy the time I get to meet new folks, talk about reading and writing, and swap book suggestions for reading with others. One of many book clubs that have chosen “Beneath the Mimosa Tree” as their book club book. The Ladies of the Book Club, Ellicott City. Tonight, I’ll be attending a local book club gathering, and I’m excited for it. The book they chose of mine is my first, Beneath the Mimosa Tree, which is set in our backyard of Annapolis, Maryland. Because some of the women are from this area or are familiar with downtown Annapolis and its surrounding area, I’m excited to hear their thoughts about the setting. In this novel, told from the alternating points of view of Annabelle Marco and Michael Contelli, readers hear two sides of what happened to their relationship, with the ultimate theme of the novel being that of finding forgiveness. Can two people forgive each other after 10 years have passed? That’s what we’ll discuss. As a writer who relishes the opportunity to interact with readers, I look forward to hearing these ladies’ thoughts—and I file them away as I begin to work on new projects. When I attend a book talk of a fellow writer, I’m always interested to hear about the back story of a project, hear the history of the characters and their development (and wonder who those characters are really based on, as I wrote about in a recent blog post), and learn about the research the writer did to write that particular novel. 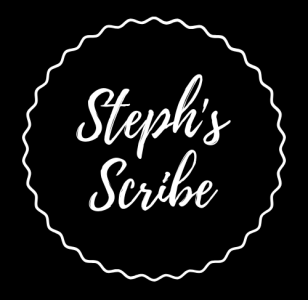 As a self-published author, networking in person, as well as online as I do constantly with Steph’s Scribe, helps me reach audiences I might not normally reach. Seeing the faces of people at book clubs reminds me of who my readers are—and it gives me the opportunity to THANK THEM for selecting my book as their choice of the month. There are so many great works out there for book clubs to choose from that I consider it a tremendous honor when then choose mine. If you are interested in reading any of my books and having me participate in your book club, you can contact me directly below in the comments, or you can email me at stephanie.verni@gmail.com. I have Skyped and FaceTimed into book clubs, visited book clubs, and called into book clubs all over the place. Feel free to reach out and I’ll be happy to check my availability. It would be my honor to be there either virtually or in person. Pingback: Book Club Visits Benefit Authors – Truly.